An amazing collection of the scariest movie masks for Halloween. Dress up as the scariest movie character this Halloween and scare the wits out of your friends!! Halloween is knocking on our doors yet again! Everybody would have started assembling their costumes for this years Halloween or atleast they would have decided what they want. Many people decide to copy characters out of horror movies. The best ones and the most popular ones being chucky, pinhead ad the mask from the movie 'Scream'. People often find it difficult to go shopping for costumes given the hectic routines now a days. They seldom find enough time to go out and pick out the things they want. 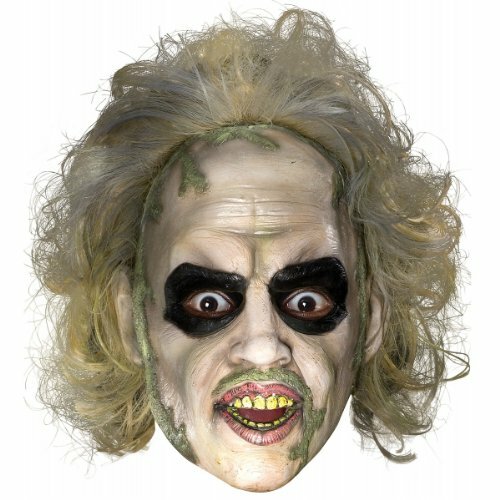 Well... if you are looking for some scary movie masks for a scary Halloween, then look no further, because here i have assembled a whole range of masks of different horror movie characters which you can easily purchase and get delivered to your home. 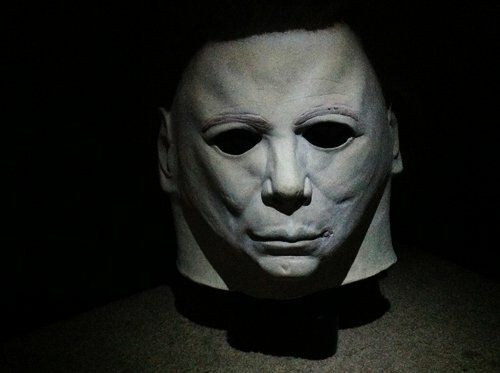 This is one of the beast quality over-the-head latex Michael Myers mask found online. The spookiest and the most real looking mask that you can find on the internet. 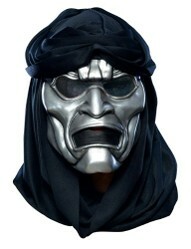 The mask's color is a stark white with a pale bluish paint to accent the facial features. The holes for eyes and nose are adequately positioned and don't pose a problem with breathing. Customer reviews tell us that the mask is very roomy and airy so you won't suffocate while wearing it and can don it for longer periods easily. If you don't have time to get a movie themed costume, you just have to put on a pair of old coveralls with the mask and you'll be ready to spook out the streets! Hell Raiser was ranked on the number 19 cable channel Bravo's list of the 100 scariest movie moments. It all starts when Frank solves a mystery box which opens the doors to the realm of cenobites (humanoids who mutilate human bodies). The mask featured here depicts the leader of the cenobites. 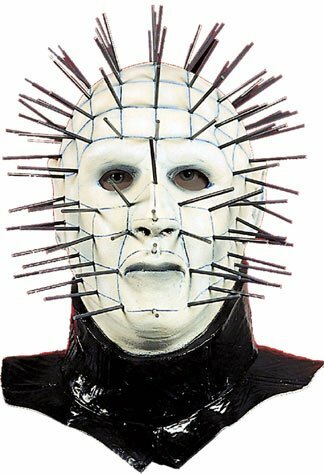 This mask is exactly like the movie version with pins sticking out of it. The mask has lesions and air spaces so that you can breath easily while wearing the mask. Grab a mystery box and start your fun on a crazy Halloween night! If you have watched the movie 'A Nightmare On The Elm Street' then you would definitely know this villain. Freddy Krueger was rated the 14th greatest villain in the Wizards Magazine. If you are planning to freak out people this Halloween then you would try the Freddy Krueger outfit. Freddy Krueger is commonly identified by his burned, disfigured face, red and dark green striped sweater, brown fedora, and trademark metal-clawed brown leather glove on his right hand. Assembling the costume for Freddy Krueger will be quiet easy. You can find the sweater at any second hand store for it's worn appearance. All you would need is a mask that completes the appearance. 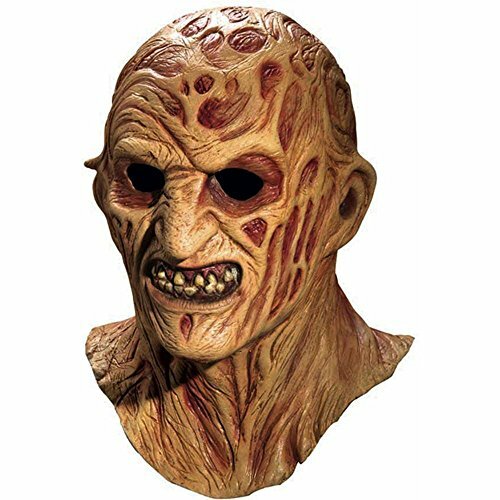 The mask featured here is a high quality movie mask which will dramatically transform you in Freddy Krueger and people will definitely spook out! Say it once... Say it twice... But we dare you to say it THREE TIMES! Add some laughter with horror and dress up like miscreant Betelgeuse a.k.a Beetlejuice who is a freelance bio-exorcist ghost who scares people out of houses. Just get your hands on a funny white and black pinstriped suit, a pair of scary contact lenses and give it a worn out look by maybe dusting it with flour etc. The mask featured here will make your costume a complete hit. This mask is quite roomy and you can wear it for a long time without having any breathing problems. Watch the movie and copy some of the dialogues from the script. Mix in some laughter with the horrors! Chucky is the most popular villain among kids and adults alike. He is the primary antagonist of Child's Play series in which a serial killer and voodoo practitioner hides inside a doll which reaches a kid as a birthday gift. Chucky was nominated by MTv Movie Award for the best villain. 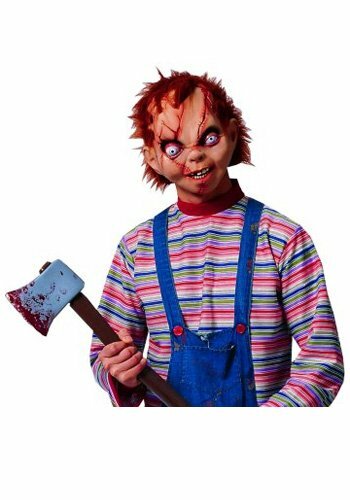 The chucky face mask featured here is an officially licensed product of the franchise and will make your chucky costume unrecognizable from the real chucky. Become immortal by dressing up like vacuform from the movie '300'. Vacuforms are a creation of persian "god-King" Xerxes and are depicted as his elite guards known as the immortals. They cover their disfigured faces with silver masks and cloaks. For completion of the costume you will need a mask that looks like the original movie character. This officially licensed Immortals mask will give you the look you need for your dress up. Jason Voorhees is the primary antagonist of Friday the 13th horror series. He wears his character golf mask on his somewhat mongoloid facial features. He is a mentally disturbed boy who finds joy in killing. This horror series acquired fame in a short time and subsequently its sequels were released. The character of Jason Voorhees does leave a psychological impact on the viewers which makes him a great choice for a Halloween makeover. You can also dress up as the villain in Scream horror series. 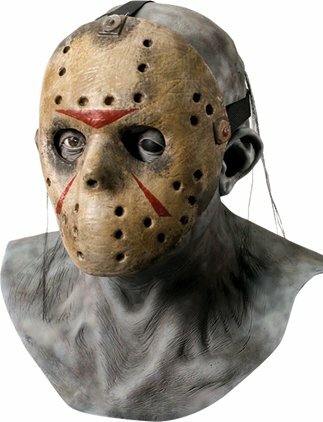 This Jason Voorhees face mask covers both his mongoloid facial features and has a detachable golf mask, Scare the people around by becoming the most feared serial killer. 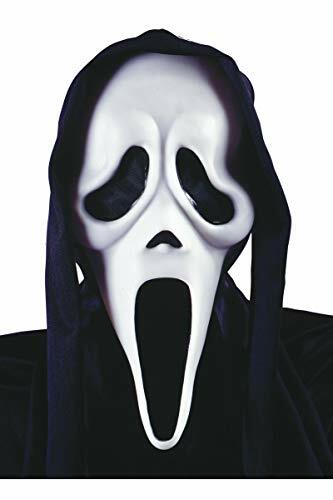 The Scream character mask will make you unrecognizable as Ghostface. Here's a tip... pick a random girl from a party and chase her to give the character some credit ;) be the ghostface chasing Sidney Prescott!